What’s the best kind of luggage to take on a family holiday? When you are looking to invest in luggage for a family holiday, things that can work for multiple types of holidays and travel options will help you get the best value from them. any restrictions/constraints placed by the trip you are taking – for instance airlines these days are pretty tough when it comes to size and weight of luggage. If you are not travelling by air, you don’t have the restrictions of airlines. You’ll still probably need to be ready to carry all the luggage at some point or the other. Airlines today place a large number of restrictions when it comes to the type of luggage one can take. 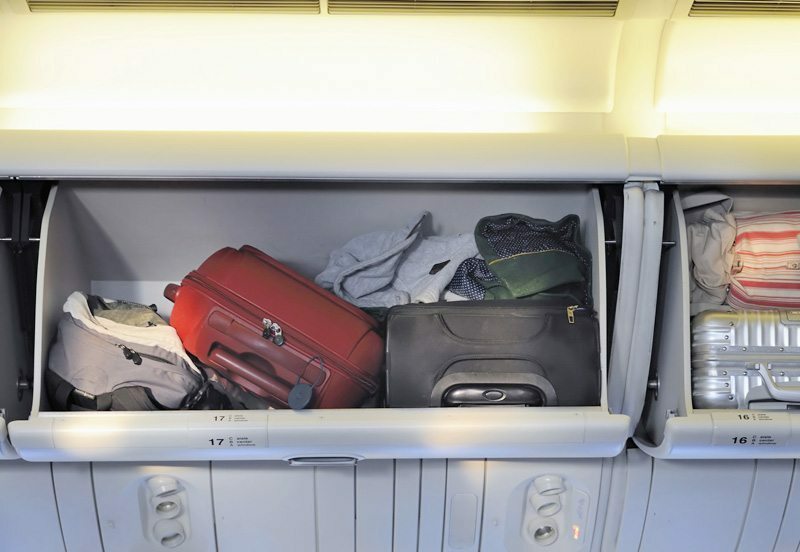 The budget airlines may charge you for cabin﻿﻿﻿ ﻿﻿luggage and have stricter guidelines than others on what is acceptable. All airlines today also have limits on the number and size of checked in luggage too. For these reasons, closer to you travel date, having a sense of what cabin baggage and what checked in luggage you plan to take will reduce the stress just before or during your journey. Cabin Baggage with wheels or no wheels? Wheels have the advantage that you can drag them along. 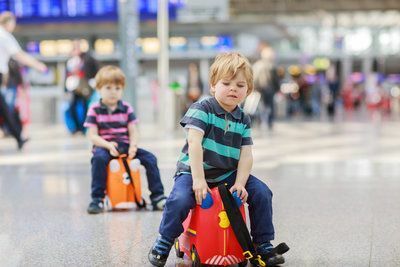 With older children who don’t get carried and who can wheel their own luggage, a small wheely cabin baggage that each child is responsible for works well. If you are buying new adult cabin baggage, we’d suggest you take a look at several airlines (both for domestic and international travel) and make sure you have the highest common factor approach to selecting the size of cabin baggage, to make sure that you’ll get it take it on board. Wheel are a nuisance if you are going on holiday to places where there isn’t much of a pavement or you want to use your cabin luggage for a day trip where it's mostly sand. The other situation for no wheels is if you have one or two kids who need to be carried. If that's the case then it’s best to look at an adult cabin baggage sized backpack. Don’t be tempted to have something that has to be wheeled for the kids if you are on your own. You’ll find you don’t have enough hands very quickly! A backpack or tote is useful for several other types of trips too. While wheels can be helpful to drag along, wheels and the frame tend to make luggage heavier, so keep this in mind when choosing the option for you. Works as a way of children carrying things to entertain them during the flight. Children love these as long as you’ve thought of the scenario of what happens when they get tired of dragging them. Children love them but get ready to have to drag the Trunki with the child on it too, so it’s hands free for luggage for the adults then. Most airlines these days are strict on the luggage that gets checked in. Economy flights vary between 20-30kgs. Having said this, if you have stairs that you have to carry up luggage, then having lighter luggage is a great help. Suitcases with a hard shell are sturdy, usually last a long time and can take a lot of knocks and bruising. But the flip side is they are heavier than the fabric based luggage. Even for the fabric based luggage, make sure that the underside, is hard with some kind of support otherwise, this is a point of weakness for the fabric luggage. The lack of support tends to happen on budget and cheaper luggage. Backpacks or large tote bags work best since it gives you flexibility of being hands free and convenient if you are going off road (beach,walks) as well as city based day adventures. ​Luggage for a family holiday needs you to consider the right mix of luggage for all situations. So as you invest in luggage, why not try and build up a combination of sizes and types of luggage. Follow this link for our s﻿uggested luggage ﻿i﻿deas for a fa﻿﻿mily holida﻿﻿y.